Use the promo code "CUSTAPPRSAVE" to get an extra 5% off. Buy two and get it shipped for free. HOT! 100 Spindle of Memorex 8x DVD-R... $29.99 Shipped at Amazon! Just what it says... 60% off a spindle of 8x Memorex DVD-R's!White hot at $30... free shipping! 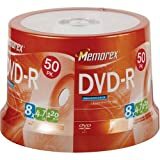 Amazon has the Memorex 4.7GB 8x DVD-R (100-Pack Spindle) for $29.99 Shipped. No rebates required! 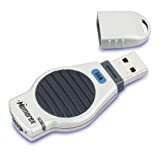 Amazon.com has the Memorex TravelDrive 1GB USB 2.0 Flash Drive for $71ish - $30 in MIRs! Free Shipping!